Posted January 28, 2014, in Exhibitions, Past Exhibitions. 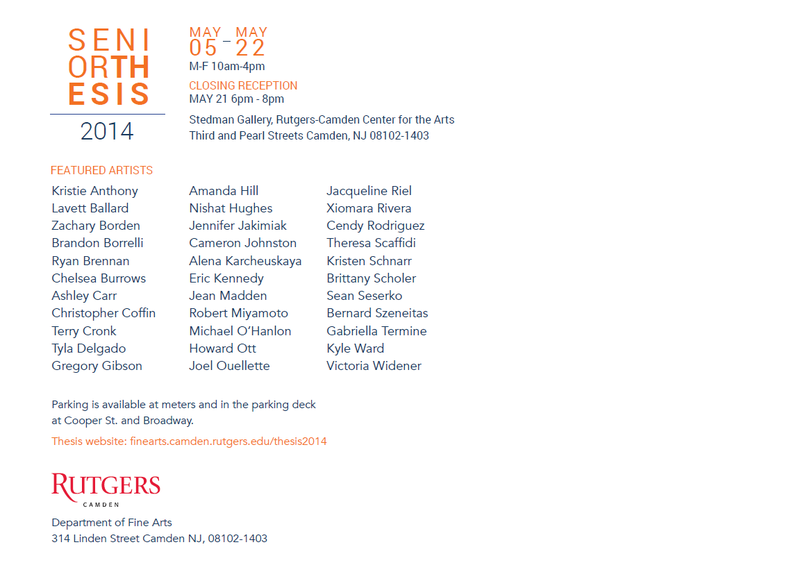 Page last updated by Rutgers–Camden Center for the Arts at 10:52 am June 4, 2015 . This page was printed from http://rcca.camden.rutgers.edu/2014/01/28/department-of-fine-arts-thesis-exhibition/ at 6:16 AM Friday, April 26, 2019.